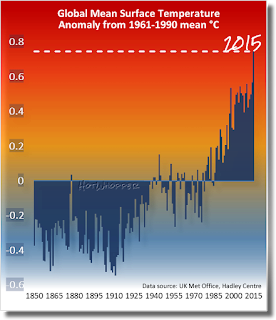 Anthony "turn tail and run" Watts, who, despite claiming expertise in surface stations, can't read a simple temperature chart and thinks global warming is caused by Russian steampipes and that 2005 or so was the "the top of a sine wave" and there'd soon be "some cooling"
...and any number of other cranks, charlatans and professional liars who want the world to burn. Kip is probably yearning to have his moment of inglory in the (maybe) impending Climate Trials. The "best company in the world" see themselves as some sort of modern day Galileo Galilei when they are more like a modern day Giulio Libri, the Professor of Aristotelian Philosopher at Pisa, and unable to accept 'obvious' evidence. I shouldn't believe anything written on that page, but somehow I do. "Senator Cruz seems very much into the Data, and generally knowledgable about the scientific process. One of his staffers is an avid reader of CE, WUWT and apparently Steve Goddard’s blog……." Thus confirming her continuing spiral of crash and burn. See the comment after a Climate Denial Crock of the Week article providing a taster for a take down of Ted Cruzby one redbbs which links to Judith's place. Tadaa here's what casual denier MCourtney over at WUWT thinks of nature's telescope. AGW is like eugenics and slavery. Morally justified in the minds of the adherents. But Indefensible through the lens of history. Reply to Miriam ==> Well, now I *have* made the big time. A direct, very personal name-calling attack, dedicated to me alone. I do indeed consider it a Badge of Honor to be ridiculously ridiculed here by you. I particularly like these two bits "Kip and the immoral, heinous crowd he hangs out" and "It's Kip Hansen who is an anti-future activist who rejects 97% plus of two centuries of science." Marvelous examples for some future sociology of science researcher writing his/her thesis on the Climate Wars of the 21st Century. Thanks again, it has been a long time since I have been so amused and had my flagging ego given such a boost. With a name like Kip, you must be used to name calling by now. But being told you're wrong isn't being personal. Sociologists of science have already noted the conspiratorial tone of climate science deniers. You're just one more data point to them. Yes, Kip, that's nicely provocative. Say you actually enjoy the ridicule, vomit up some false modesty, and just to be extra needling, don't use Sou's "nom de blog". I wonder sometimes what the end goal of climate change deniers is? Of course, you say that it's to set climate science right, but do you even believe that? It seems to me most deniers understand that as the data piles up against them, their ability to delay action is dwindling, and delay is really the end game for them ... or at least the best they can hope for. Your article about a "reset" reflects that, proposing the idea of scrapping all past science and starting fresh. That would allow a bit more delay, right? You say the purpose is to end the climate wars that bias the science, but there is no war inside the scientific community. The consensus among climate scientists that the earth is warming and humans are causing is higher even than the consensus that smoking causes cancer, something that most lay people like you and me wouldn't consider controversial. The climate wars you describe are scientists presenting findings and ideologues not wanting to believe them. A grand reset would not change that. Reply to Greg ==> You should actually read (or re-read) my essay if you are to comment on it. It does not "propos[e]...the idea of scrapping all past science and starting fresh." "It does not "propos[e]...the idea of scrapping all past science and starting fresh." What semantic hair-splitting are we dealing with here? My guess - you only proposed scrapping all past climate science? Am I right? From his piece: "It should be obvious to all that I am out of my depth here – in over my head – let me be the first to point this out. I don’t know what questions should even be asked." Regarding studying climate after a "reboot". Yet, he is absolutely certain that climate science as it stands today, is wrong. Argument from incredulity. The point is, Kip, that climate science is not "hopelessly bogged down"; it continues to thrive. There is no credible evidence that it is "going down the wrong path", claims of "confirmation bias" are unfounded, there really is no "enforced group think", but rather lively debate on many many issues, no-one has proven any "bias in funding proposals" and by no means is climate science at a "dead end." It's fine for a thought experiment to consider "what if we started over" but there's no convincing reason to think that starting over would produce anything different than what we have now - the current long slow development of our understanding though study of the physics of the atmosphere, land and ocean, the development of more and more sophisticated measuring systems, analysis of past paleo and historical observations, and the development and refinement of (admittedly crude but improving climate models. Certainly people should explore alternative or supplementary phenomena: natural variation, cosmic rays, subterranean volcanoes, cycles due to remote planets, etc., but so far none of those have provided convincing explanations of current climate change. On the other hand, AGW due to the rapid increase in CO2 has both the established physical basis and the accumulated consilience of observational evidence to date. My further response is below. I thought the BEST efforts of the deniers was a sort of starting over and look what that found. The problem isn't climate science, Kip. It is climate science denial. Start again, this time with the facts as they actually are. "Marvelous examples for some future sociology of science researcher"
You what? Those science researchers are already publishing their opinions of the two sides, and it's not looking very good for yours. The scientific verdict is that you and your kind are stark raving mad. Personally I think that's a bit generous: I'd add in a few words like 'scumbag' to cover the accusations of scientific fraud you guys throw out to anyone who offends the fossil fuel industry, but then I don't need to worry about the niceties of peer review. Hey, David Sanger - perhaps we could start over by abolishing conservation of energy. That would give Kip a fair chance! I am a climate ignoramus. Based on that, I advise that a dozen or two bright minds get together and set the thousands of experts straight, without mentioning that that's about as possible as getting a dozen or two bright minds to get together and refute evolution. You might get together a dozen or two bright minds who dispute either evolution or climate science, but in neither case would you be likely to find ones that are both competent in relevant fields and not mentally crippled by fundamentalism or advanced Dunning-Kruger, respectively. So pin on your badge of honor and go back to playing in the mud pile. Actually, the few of your buddies who aren't conspiracy nuts or just plain nuts seem to be mostly crippled more by fundamentalism of the libertarian/no-taxes variety. I don't know what Judith Curry's problem is, though. They think the have actually "broken science"
Oh but I like his line of reasoning. I've been trying to play a new online game and I keep getting beaten, and badly. According to the Kip Hansen rationale, that online game is clearly broken. If only a couple of dozen bright minds got together and reprogrammed it, I'd start winning. Does Brandon have a day job, or is this it? • Inherited enough loot to do this day in and day out? • Paid to argue alarmist globaloney? Maybe there are others that didn’t occur to me. But it’s certainly his full time job. .... Hello World! Would you like to hear a short inspirational message about Global Warming? Maybe Kip can offer him some pointers on how to roll with a punch, or even A WUWT reboot as the case may be. In the meantime, scratch one irony meter. Were you banned or just given a timeout? Hi Chic, neither it seems -- I had a somewhat cheeky one-line response that went through. Re: min/max diurnal temperatures, I have confirmed that it does cause a daily and seasonal bias, does not appear to affect decadal trends. I'll find you on some current thread when I've done some more digging. Thanks for suggesting I think about it, has been interesting research so far. Anybody know what dbstealey's day job is? He does spend a lot of time at WUWT. My understanding is that he's a retired metrologist. Not to be confused with meteorologist. Maybe who he did his metrology for is of more significance. Perhaps. He's mentioned several times that he served in Vietnam, combat role, for which I personally thanked him. I get the feeling it was voluntary service, not conscripted, because so many of his expressed politics are decidedly anti-Socialist -- which he conflates with Communism and one-party totalitarianism as so many Americans do. Ideological alignment combined with metrology tends to explain his "IF AGW exists, it must be too small to measure because nobody has ever provided empirical, testable, verifiable measurements of CO2's contribution to GW" and "nothing unprecedented is happening which cannot be explained by natural variability" schitcks. Whatever his ideals and motives, he's still wrong. He would likely say I'm just projecting again. I was gentle with Kip in the earlier article. For the most part I just took his idea and ran with it. Then he came here, was discourteous, and indicated his underlying anti-science agenda. Kip's comments and reactions in this thread and to the other article support the idea that ridicule can often be effective in getting disinformers and deniers to show their true colours. The fact that he appreciated being bundled with the more egregious climate disinformers ("best company in the world") says it all. The Kips of the world hide behind a veneer of cheerful politeness until they are shown up (as here). Then they show their true colours (as here). It's classic concern troll behaviour, and not that hard to reveal. The actions of people (such as Kip) who've been actively working for years to undermine science, are rightly labeled heinous. Some would argue that word isn't strong enough. Their drawn out campaign is a lot worse than that of young earth creationists. That's because, unlike evolution deniers, climate science disinformers work to harm people, societies and the natural world. Not just a little bit. They are working to hasten the sixth major extinction, sink coastlines, make large areas uninhabitable, and cause untold harm to this and future generations for centuries to millenia. Way after the fair, but that is one of the simplest and most direct descriptions I've ever seen of the fundamental problem we all face. Trouble is, it's our lives too. "climate science disinformers work to harm people, societies and the natural world. Not just a little bit. They are working to hasten the sixth major extinction, sink coastlines, make large areas uninhabitable, and cause untold harm to this and future generations for centuries to millennia." When I was about seven years old (1956) myself and two younger brothers were taken to the zoo by my auntie and then boyfriend. It was in the days when you could buy peanuts to feed to the monkeys. They were busy kissing on a park bench when someone told them that the chimps were feeding your children. The chimps had seen how down and out we were and stopped flinging poo at each other and everything else. They felt so sorry for us, so they passed the peanuts back to us and pissed themselves laughing for how smart they were. My brothers and I saw them as fellow sentient beings. As far as I can remember they were really good chaps for giving us some of their peanuts. But he does fling poo. Sou is spot on. Deniers have thin skins and get upset very quickly. Prick their pompous certitude and they squeal like a stuck up sticky beak. That's why Monckton uses his empty threats of legal action and pointless letters to various heads of organisations in a vain (in more than one sense) effort to avoid having the defend the defenceless further. My favourite example was, about a year ago, discussing his paper in that bottom feeding Chinese journal, he left the discussion to powder his nose and sent his flunky instead (although since the style was the same, I think that was a cowardly act of just avoiding being shown up - sad sock puppetry. Wonderful story and response. Thanks! There is nothing that discredits the climate change fanatics as much as the inane, bombastic snark with which they rebut any denier who would dare disagree with their sacred truth. Read a "denier" blog and check out the comments -- often you will see some pretty good back and forth argument regarding the positions asserted by the OP; then read the blog of a climate change truth speaker attacking a denier, and wade through at your own risk the muck that passes for comments. This comment is a classic example of tone trolling. Tone trolls do it not because they have nothing of substance to add, but because they want to distract from the substance. I wouldn't call it a classic example - this wasn't even a competent attempt. The guy uses so many hate terms in just the first sentence that he is very very obvious. There seem to be more scientists denying catastrophic man-made climate change than supporting it. I think you missed out Matt Ridley too. Not an actual climate scientist: true. Only writes occasionally about climate: true. But he disagrees with you so surely gets in your Hall of Shame? You can use the search bar up top for articles about Matt Ridley's nonsense. Funny thing about climate science is that none of so-called expert catastrophists are interested in talking about the science. They only have time for demonizing anyone who disagrees with the latest catastrophe they're proposing. So called mainstream climate science looks a lot more like politics than science to me. I understand politics very well. Better than you. Perhaps if people like you studied politics better you'd know that scaring the public to raise awareness of an issue which is not there. Does not lead to sustainable politics and will give science of bad reputation over the long term. Mark, I don't know who you think are "expert catastrophists". Sounds like denier talk to me. If you think that scientists don't talk about science then you've not read the IPCC reports or climate science papers. There are lots of good climate science blogs too. You said something about being "interested in talking about the science". Was that just talk or is there a particular aspect of climate science that you would like to talk about? Perhaps you could type that piece of "science" in the search bar up top and comment on one of the science articles here. Or you could visit HotWhopper Chat and start a topic you're interested in. Make sure you read the notes on etiquette and guidelines first. The IPCC reports are not written by scientists. Or, at least, not edited by them. Way too many activists and politicians involved and setting the criteria. Sensible climate scientists should've produced their own reports free of political interference, but they choose not to do that. I'm quite interested to figure out how methane is supposed to be a 30 times more powerful GHG than CO2 despite methane (1) having an atmospheric lifetime of only 10 years, (2) absorption bands overlapping water so than any radiation methane can absorb will be absorbed by water anyway. (3) being a non-polar molecule. So we're just talking non-polarized C-H sigma bonds. Seems very implausible to me that methane can be a serious GHG threat. Mark - you're wrong. The IPCC reports are written by scientists about science. You can take some comfort in the fact that you aren't alone in being incapable of checking facts for yourself. (What is it that causes people like yourself to regurgitate nonsense they read in the dim conspiracy-laden recesses of cyberspace?) Do you know you are wrong - and a disinformer yourself? Or are you merely a willing wilful science denier. BTW personal incredulity is a logical fallacy, and is No. 2 of five telltale techniques of climate science denial. What proportion of the authors do you think aren't scientists? Here is the list of 209 Lead Authors, and 50 Review Editors from 39 countries, and more than 600 Contributing Authors from 32 countries. What statements do you think are political and unscientific? What has caused you to reject science and confuse it with ideology? Facts are facts. You not knowing the difference says everything about you and nothing about science. Since you are unable or unwilling to respect blog etiquette, let me help you. Here are some HotWhopper articles about methane. Take your pick of which one you prefer to ask your question on. If you use the search bar up top, you'll find more articles. Mark4asp fortunately already admitted not being a scientist. Otherwise he'd be laughed at not knowing the basics of IR spectroscopy and thus wonders why CH4, being nonpolar, can absorb IR radiation so strongly, and why CH4 is a stronger GHG than CO2. Two hints for Mark: first, CH4 may be nonpolar, but so is CO2. And yet, both strongly absorb in the IR region for the simple reason of the existence of asymmetric vibrations. Second, CH4 is a precursor to stratospheric ozone and water (and is transformed into CO2). The GWP of CH4 takes this into account. Third, the GWP is calculated on a weight basis. CH4 being much lighter than CO2 gives it, even if it were to have a similar molar absorption (which it doesn't), a much higher GWP. All this you could have learned by actually reading the IPCC reports. And if you don't trust those, read the background scientific papers. It's not wise to dismiss stuff you so obviously do not even understand. Mitigation sceptics often complain about climate station data, but the funny thing about the mitigation scetpics is that nearly none of these so-called expert catastrophists come to my blog to ask questions about the quality of climate data. If they were interested in science you would expect that they want to make sure they understand the scientific position correctly. To be honest, I do not believe typical mitigation sceptics have any interest in science. 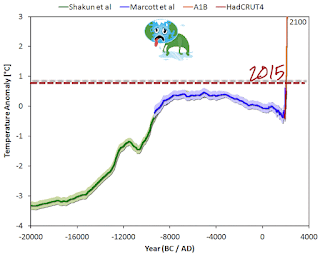 The IPCC AR5 science report is badly written science. Statements made within the report often do not clearly attribute the source of evidence for each statement. The literature referenced is not clearly cited when appropriate. E.g. Methane radiative forcing. This is important to someone like me because I need to know what is attributed to measurement and what to modelling. Nor does there seem to be any effort made to contradict refutations of the IPCC evidence. E.g. In chapter 8 of AR5. The lifetime given for CO2 is excessive. Given how soluble CO2 is in water, 71% of the surface is water, 1% of the atmosphere is water, CO2 should dissolve in water droplets in clouds, which then rain down to earth, I find it unlikely that the lifetime for atmospheric CO2 is as give in the report. Too much time spend demonizing anyone who questions a word you say. Too little time spent explaining and justifying the scientific basis. I can't take the IPCC too seriously any longer. Especially now the warming they spent trumpeting hasn't been happening for the last 18 years. Not since 1998. Goodness knows what rock Mark lives under. It's warmed rather a lot since 1998. Mark, what you find "unlikely" is clearly based on your own faulty understanding. The dissolution of gases into water is an equilibrium, so there is no reason for the CO2 to just dissolve in droplets in clouds. A very, very small percentage may, but the vast majority does not. This is clearly shown by the measurements of CO2 in air. Hard measurements. But your last paragraph shows that you simply don't want to listen. It's easier to dismiss the science, come with some pseudoscientific comments (you clearly do not understand the processes involved sufficiently to make a qualified assessment) to justify your dismissal, and that's it. Mark has lulled himself to sleep and can go around 'safely' ignoring what the scientists are telling him. It would not surprise me if Mark, in a year or ten, blames scientists for the fact that *he* ignored them. if you're Australian you may not be familiar with either the Royal Society of the UK or the U.S. National Academy of Sciences. If you google them, though, you'll find they are two of the world's most respected scientific associations. "CLIMATE CHANGE IS ONE OF THE DEFINING ISSUES OF OUR TIME. It is now more certain than ever, based on many lines of evidence, that humans are changing Earth’s climate." "Q: Are disaster scenarios about tipping points like ‘turning off the Gulf Stream’ and release of methane from the Arctic a cause for concern? "A: Results from the best available climate models do not predict abrupt changes in such systems (often referred to as tipping points) in the near future. 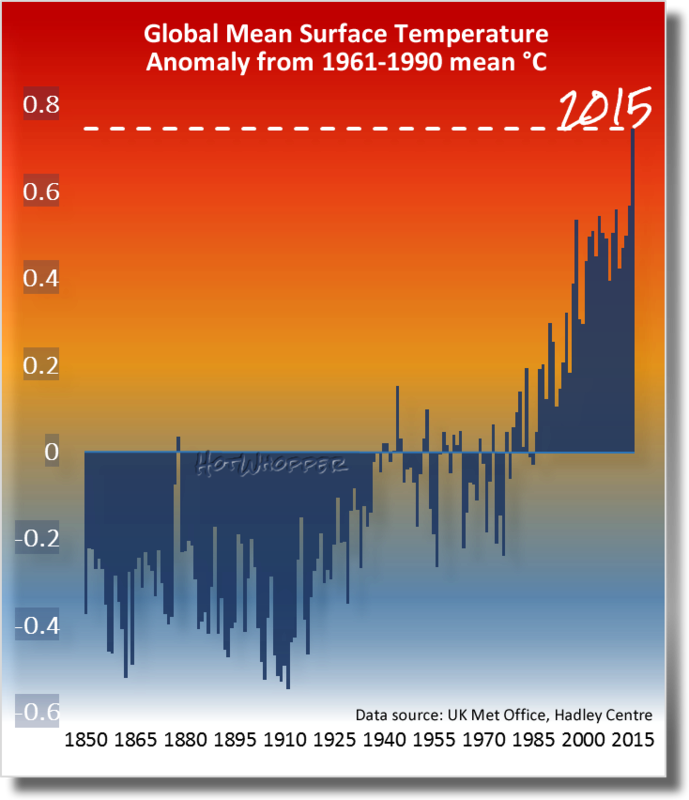 However, as warming increases, the possibilities of major abrupt change cannot be ruled out." So, mark4asp, if it's science you want, you're better off getting it from authoritative sources like the RS and the NAS, rather than from television "news" and politically-motivated blogs. You are Senator Malcolm Roberts and I claim my £200! 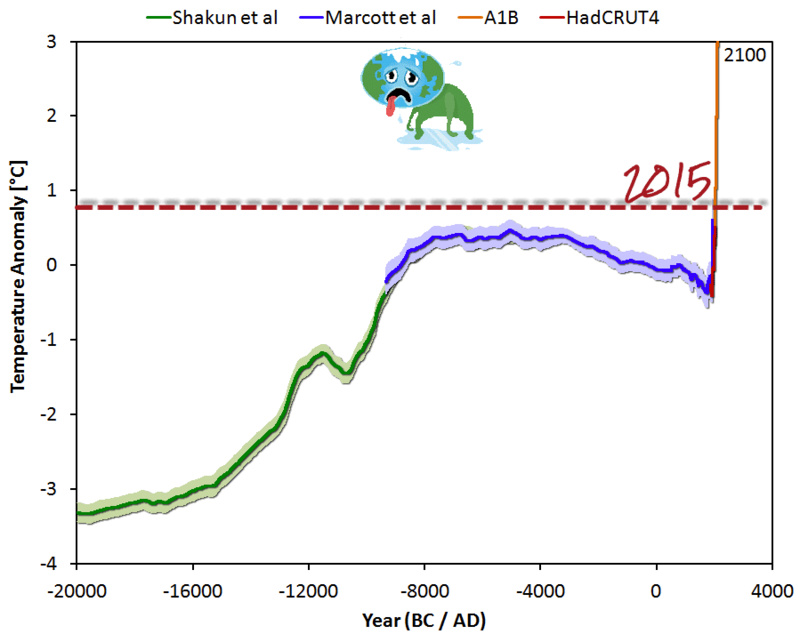 The IPCC AR5 science report is badly written science. It's not Shakespeare. But what is wrong with it in your estimation. Statements made within the report often do not clearly attribute the source of evidence for each statement. For every statement? You have to be kidding. The literature referenced is not clearly cited when appropriate. E.g. Methane radiative forcing. Perhaps you would like to cite where your example is not to be found. You would not want to be hypocritical after all. Oh dear. Luckily it is not all about you. because I need to know what is attributed to measurement and what to modelling. It is always clear what is being referred to. Well, nearly always. Nor does there seem to be any effort made to contradict refutations of the IPCC evidence. Rubbish. The IPCC report is a summary of the state of the science. I find it unlikely that the lifetime for atmospheric CO2 is as give in the report. They are unkind and do not give a fig what you find unlikely. Too much time spend demonizing anyone who questions a word you say. Too little time spent explaining and justifying the scientific basis. I can't take the IPCC too seriously any longer. Did you ever take it seriously? Good and proper questions about methane being a greenhouse gas. When you get an answer, (which you surely will), will you reconsider your lack of knowledge on the subject and adopt a more enquiring nature? Well mark4asp. You have got some answers to your questions about methane. Do they help you see that the blogsite from which you cut and pasted those questions have been less than transparent in its intent and misleading. If you, as a self decribed non- scientist, forget to think for yourself you will be led by the nose by these people. Just echoing their nonsense will get you nowhere. Yiu say you are good at politics and, with no justification, claim you are better than people here. Remember you need scepticism to be good at politics. You have not shown that ability here so far.